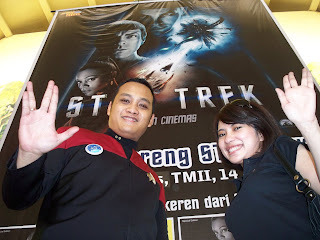 a melting pot: The Biggest Indonesian Trekkers Gathering Ever! 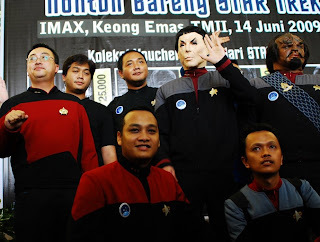 Indonesian Star Trek Fans Commmunity or Indo-StarTrek organized a gathering event to watch together the new Star Trek movie in IMAX format at Keong Emas, Taman Mini Indonesia Indah, Jakarta. 14 June 2009. 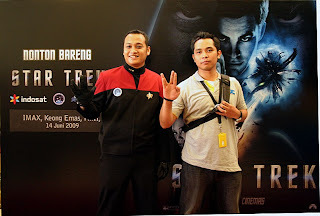 This event was sponsored by INDOSAT and IGUANA SMS. 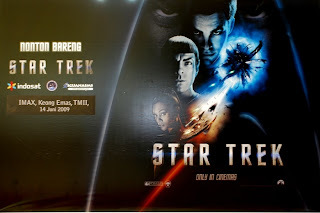 As an active member of Indo-StarTrek, who was also the one in charge in ticketing for this event, I was very thrilled to know that we had sold out total 563 tickets in just two and a half weeks after we announced the event on the internet as we built a special web page for it; www.indo-startrek.org/promo/STXI, and a facebook event page. 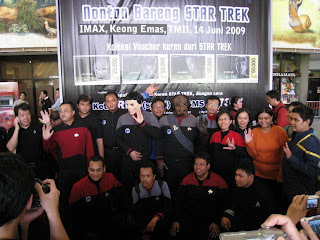 With the capacity of 847 people in the IMAX theater, so as the visitors packed that day on 14 June 2009, this was the biggest event ever conducted for Indonesian Star Trek fans. 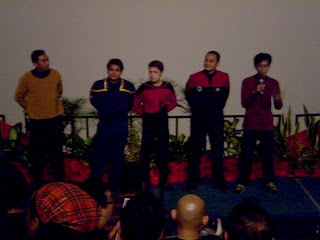 People from Jakarta, and other cities like Bandung, Surabaya, Balikpapan and even Singaporean Trekkies were attending too! 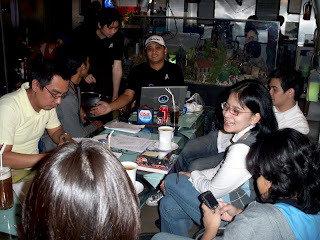 A lot of medias were covering this event even days before the event even started. 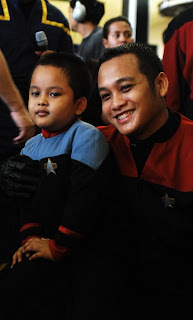 I am very proud to be the member of the coolest community in Indonesia! 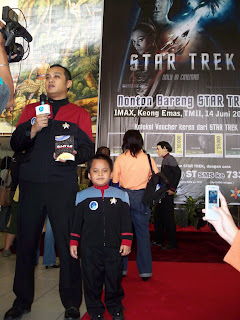 I am very proud of being Star Trek fans!. Your opinion about earth and physics were fascinating us.